Food is always a way to connect with other, a way of expressing oneself. A person’s choice of restaurant often tells a lot about the individual’s personality. Similarly, the millennial use social media inorder to connect and share their opinion and experiences through their food posts. Searching for keywords like ‘foods’ and ‘food world’ can give thousands of posts related to one’s search indicating that people are frequently posting about food. Thus, a restaurant should be available on the social media taking full advantage of the buzz it is creating in the current time. Social media is a driving force which can be seen in the restaurant industry. While some restaurants are embracing the customers sharing pictures and messages over social media, others are prohibiting the same. “Social sharing has become so popular that diners now regularly engage in foodstagramming”—Instagramming and shooting TwitPics of dishes at their favorite eateries,” says Simant Tyagi, Owner, Hyjack Lounge. According to a recent report in Times Of India, about 73 per cent have used Facebook to make restaurant or retail decisions, based on various comments and images which are posted by users. 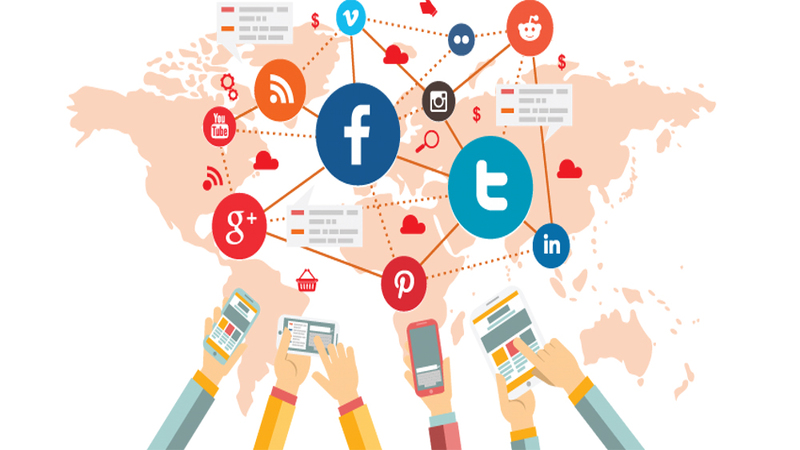 Customers these days are having a strong desire to connect with their brands via social media. As a result, restaurants should proactively engage their customers through mobile and various social channels. To be successful on social media, it’s very important to know and understand the kind of audience one has. It not only helps in creating a good content for the page but also helps in selecting the right platform for your venture. Once the concept is clear, the secret for marketing via social platforms is certainly cracked. “The secret to social media is your audience. It’s all about meeting their needs and exceeding them in terms of content, both written and visual,” says Zeenat Ehsan, Co-owner, Bohemia Café. It is essential to complete the entire profile of a restaurant page and various other important details and most importantly your menu. it should not be difficult for the customers/ audience to look for their desired queries. Adding a book now and call now button can certainly work in favor for the restaurant. It gives the customer an option to directly visit the restaurant’s website without typing the webpage URL. Accepting/ encouraging reviews is another way to make the customers feel comfortable thereby ensuring their second visit. Replying to feedbacks also creates a sense of relationship between the restaurant and customers. Social media is here to stay so restaurants should use it in the fullest for ensuring their brand’s presence and customers. What a restaurant chooses to do will certainly help it to stand apart from the already exsisting competition.